Mobile se computer/laptop me internet kaise chalate hai? Kare Kaise - Computer ki Puri jankari ! 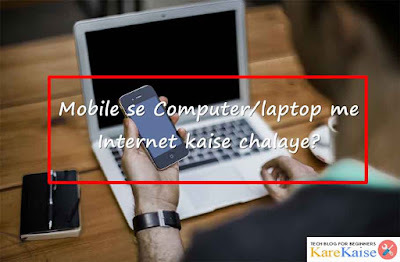 : Mobile se computer/laptop me internet kaise chalate hai? Mobile se computer/laptop me internet kaise chalate hai? Aap log apne mobile me internet to chalate hi honge aur sath hi aap apne computer me bhi chalate honge par aap computer aur laptop me internet connect karne ke liye wifi aur broadband ka use karte hai par aaj mai aapko apne android mobile ko usb se internet chalane ke liye connect kaise karte hai yah batane vala hu. aap usb cable ki help se data and files transfer karne ke alava usb cable ka use computer ko internet se connect karne ke liye bhi kar sakte hai aur phir computer aur laptop me interne chala sakte hai aur agar aapke pas laptop hai aur vo wifi ko support karta hai to aap bina cable attach kiye bhi apne laptop me wifi hotspot se internet connect kar sakte hai. Mobile se computer me internet chalane ke liye kya chahiye? Usb cable se Computer/laptop me internet kaise connect kare? mobile se computer me internet chalane ke liye aapko kuch simple si steps ko follow karna hai aur phir aapke computer me internet connect ho jayega. Step1: sabse pahle apne mobile aur computer dono ko ek USB cable se connection kare. Step2: jese hi aapka mobile computer se connect hoga phone storage aur sd card ka explore open ho jayega yani ki aapka phone, computer se connect ho chuka hai. Step3: ab mobile me menu khol kar settings me jaye aur phir more me jaye. Step4: more me jane ke baad aapko tethering and portable hotspot par click kare. Step5: ab yaha par aapko Usb tether ko on karna hai aur phir apne mobile se data connection on karna hai. ab aap dekh sakte hai ki task bar ke right side me ek computer me jo ╳ ka icon tha vo ab hath chuka hai iska matlab yah hai ki ab aapke mobile se computer me internet connection ho chuka hai aur ab apne computer me browser open karke internet chala sakte hai. Wifi hot spot se laptop me internet kaise chalaye? Dosto hotspot ki help se aap aasani se apne laptop me internet chala sakte hai vo bhi bina cable ko lagaye, laptop me wifi hotspot se internet karna bada hi aasan hai. Step1: mobile connect karne ke baad settings me jaye aur more par click kare. Step2: ab tethering and portable hotspot ko open kare. Step3: ab aap wifi ke dvara laptop ko connect karna chahte hai to esliye wifi hotspot ko password configure kare aur phir wifi hotspot on kare. Step4: mobile se wifi hotspot on karne ke baad me aapko ab laptop me wifi se apne mobile ko search karna hai iske liye taskbar me right side me dikh rahe computer icon ya network settings par click kare aur apne mobile device name par click kare aur password dal kar connect kare. ab aapke laptop me wifi hotspot se internet connect ho chuka hai. 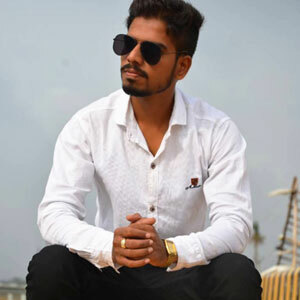 aapko hamari yeh post kesi lagi hume comment kar jarur bataye aur share bhi kare.